Gary J. Frank P.C. 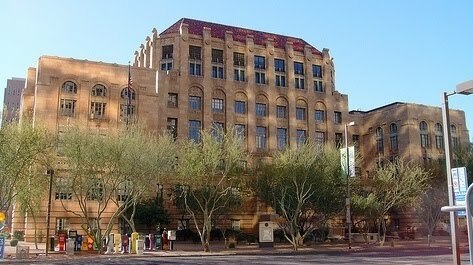 - Phoenix AZ Divorce & Family Law Blog: A GRANDPARENT CUSTODY CASE INVOLVING TWO STATES - WHO HAS JURISDICTION? A GRANDPARENT CUSTODY CASE INVOLVING TWO STATES - WHO HAS JURISDICTION? I was recently contacted by a grandparent who had the following question: "I raised my grandchildren for several years. My daughter went through treatment for drug abuse and later took the children back. However, her addiction has returned and I am afraid that my grandchildren are now at risk. She's in California and I'm in Arizona. I need to get custody of my grandchildren. How can I do this from another state?" This scenario presents a complicated legal issue involving not only a grandparent's custody matter, but also a potential battle between states over which state has the jurisdiction (i.e., the power) to make the custody decision. Custody cases that involve two or more states are governed by a set of laws known as the Uniform Child Custody Jurisdiction & Enforcement Act (UCCJEA). Nearly every state in the U.S. has adopted the UCCJEA. The law provides uniformity and helps the competing courts determine which state will preside over a custody dispute. Under the UCCJEA, the state where the child has lived for the past six months prior to a court action being initiated is considered to be the "Home State" of the child. Generally (but not always) the child's "Home State" will be the state that has "jurisdiction," and it is where the custody matter will be litigated. However, the Court considers a number of factors before determining jurisdiction, including which state has the "most significant connection" with the child (i.e., where schools, doctors, family members and friends who are familiar with the child's needs, etc., are located). The Court also considers whether substantial evidence is available in the state concerning the child's care, protection, training and personal relationships. Our attorney, Gary Frank, is a grandparents' rights advocate. In addition to being a litigation attorney and a professional Family Law mediator, Mr. Frank has acted in the capacity of a Judge Pro Tem in the Maricopa County Superior Court. This has given him an understanding of the inner-workings of the court, and a unique perspective that most attorneys lack. If you are in need of a consultation regarding any area of Family Law, please do not hesitate to give our office a call today at 602-383-3610; or feel free to contact us through our web site at www.garyfranklaw.com; or by email at gary.frank@azbar.org. We look forward to hearing from you.